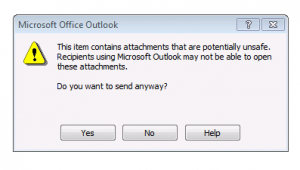 Recently if you try to send an attachment like a PDF you noticed that you receive an error in Outlook right before you send the attachment that reads “The item contains attachments that are potentially unsafe. Recipients using Microsoft Outlook may not be able to open these attachments. Do you want to send it anyways? But the solution is that the filename cannot have special characters, long names or extra dots in the file name. You will have to rename the file. 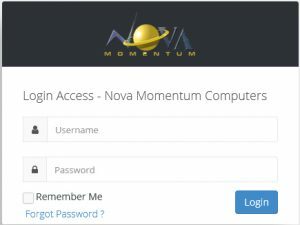 For example This is a File$#Name..pdf (this is wrong) you will need to rename the file to something like This is a Filename.pdf or ThisIsaFileName.pdf (correct). As you can see we removed the special characters and the extra dot before the file name extension. This is no longer allowed after the Security Patch installed.